Hanif Mohammad, known as the original ‘Little Master’, was Pakistan’s first great batsman. Besides ending with a healthy 55-Test career, he also had a penchant for creating records. In 1958-59, he would go on to make 499 in 635 minutes (with 64 fours) – before astonishingly getting run out – while playing for Karachi against Bahawalpur in a Quaid-e-Azam Trophy match. This remained the highest ever first-class score until Brian Lara superseded it with 501* for Warwickshire against Durham in 1994. But that lay a year ahead. In 1957-58, a sterner test awaited Hanif and the Pakistan team, which was led by former India player Abdul Hafeez Kardar. 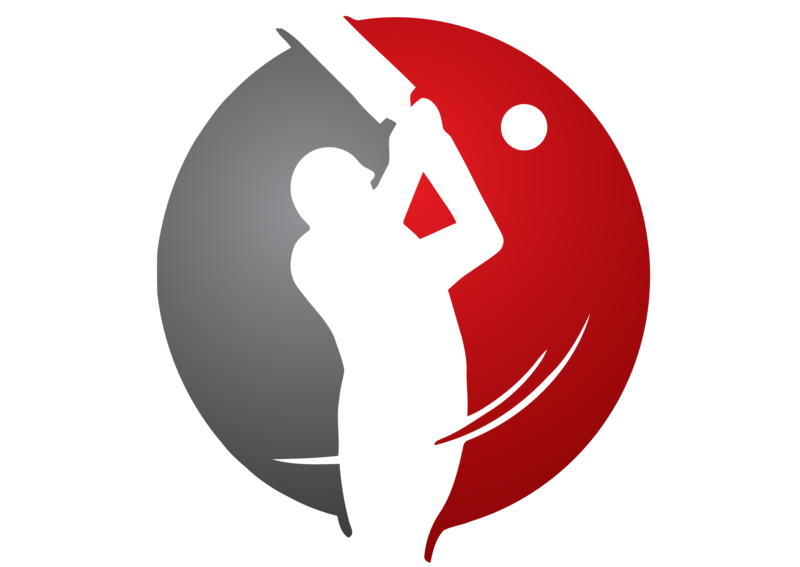 They were to play their first ever Test series against the West Indies – a five-match rubber in the Caribbean. 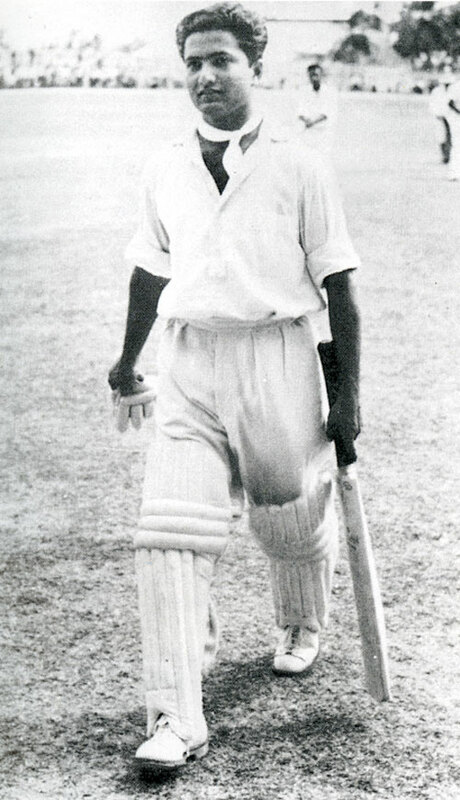 Gerry Alexander’s home side consisted of an imposing batting line-up in Conrad Hunte, Rohan Kanhai, Everton Weekes, Clyde Walcott and a 21-year-old Garfield Sobers. The first Test began at Bridgetown, Barbados and the West Indian batsmen immediately blunted the visiting attack. After electing to bat first, they declared at 579/9 late on day two, with Weekes’ 197 and Hunte’s 142 being the bulk of the run-scoring. Pakistan were then poised for a humiliating defeat when they were bowled out for just 106 in their first innings on the third day. The pace of Roy Gilchrist (4/32) and the off-breaks of Collie Smith (3/23) proved to be too much for Pakistan, and they now needed a miracle to just overturn the 473-run deficit, let alone save the Test. Hanif then decided to drop anchor, and sedately put on 152 with fellow opener, wicket-keeper Imtiaz Ahmed, who made 91. The third day ended with Pakistan at 162/1 and Hanif on 61, but they were still 311 behind with three days to resist (it was a six-day match). The fourth day saw Pakistan starting to make a serious fightback – the ended the day at 339/2, with Hanif now unbeaten on 161. He shared his second century stand, this time putting on 112 with Alimuddin for the second wicket. By the time the final day began, Pakistan were in a much safer position, though not completely out of the woods – placed at 525/3, ahead by 52. Hanif by now had already played one of the greatest innings, and he was still there, batting on 270. He partook in two more century partnerships – 154 for the third wicket with Saeed Ahmed (65) and 121 for the fourth with his brother Wazir Mohammed. Finally on day six, the great man perished for 337 (24 fours) – just 28 runs short of Len Hutton’s 364 (then the highest Test score, made in 1938), sixth out with the score reading 626. 16 hours and ten minutes – that adds up to a staggering 970 minutes – was what he spent at the crease. Hanif had created history, but more importantly, had saved Pakistan from inevitable defeat. Pakistan declared at 657/8 in 319 overs, and the hosts made 28/0 in 11 overs before the match ended in a draw. Hanif’s magical innings was a triumph of concentration amid the toughest of conditions. This marathon of an innings is still the highest individual score away from home, and is the only triple-hundred scored in the second innings (there have been 25 other triples). Add the fact that it was scored with the team following-on, and that too by a massive 473 runs. Batting for more than three days, with the singular objective of saving his team from humiliation – it is tough to see such innings in Test cricket today. Needless to say, this is still the longest ever Test innings (970 minutes), and the 858-minute triple hundred is the slowest 300+ score. It still remains Pakistan’s highest individual score in Tests. 55 years on, Hanif’s colossal feat remains unequalled. A year prior to his epic 499, he thus created a bouquet of Test records that still stand today. One can only admire the confidence that the man had in his own abilities as he went on to create a masterpiece, and ultimately succeeded in leading one of the most remarkable rearguard efforts ever. 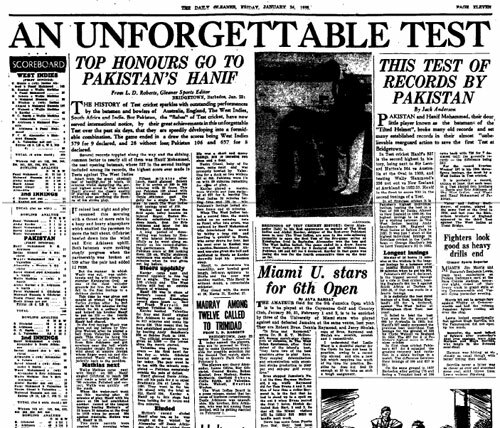 Incidentally, Hutton’s record of 364 was broken in the third Test of this very series, when Sobers amassed an unbeaten 365 in a total of 790/3 as Pakistan crashed to an innings defeat. This record stood for 35 years. The West Indies won the series 3-1, with Pakistan pulling off a consolation victory by an innings and one run in the final Test.